For my son’s second birthday last year, I decided to do very simple party favors. 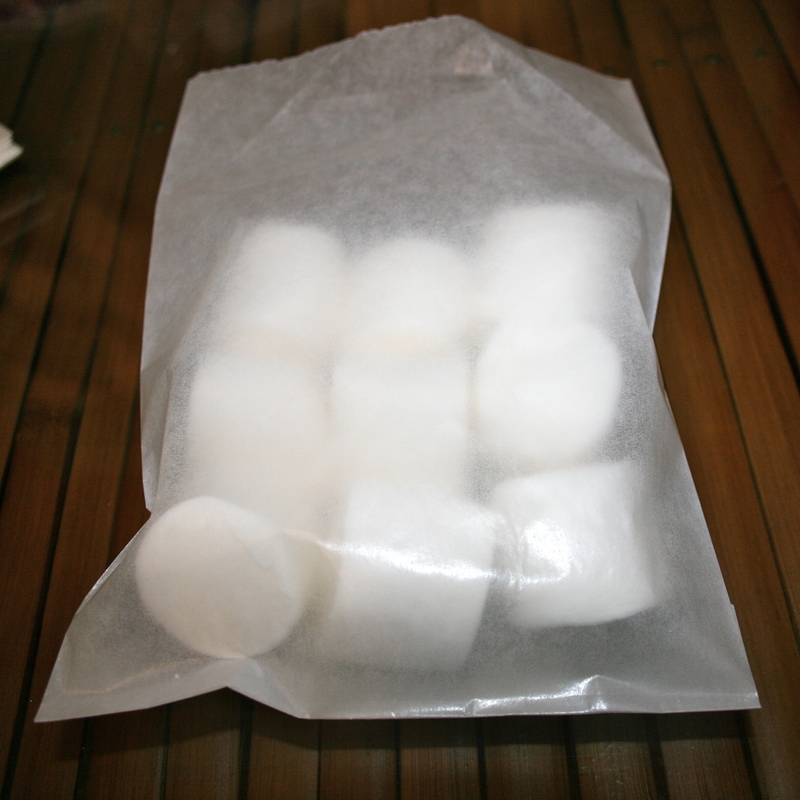 In keeping with the helicopter theme, we handed out glassine bags of marshmallow “clouds” and these were a huge hit. They were very easy to put together! Hope you enjoy this tutorial and let me know if you decide to do these for your child’s party. Also, if your child doesn’t like marshmallows you could use white mini doughnuts. 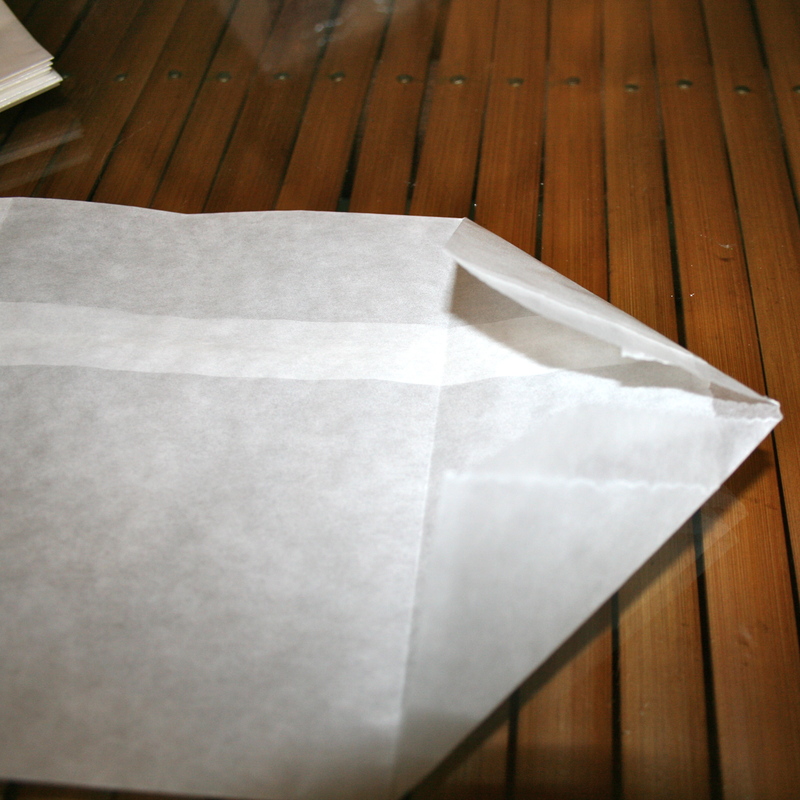 The first thing you’ll want to do is fold your glassine envelopes so that they are all uniform. I didn’t measure them but I’m pretty good at eyeballing… if the thought of eyeballing this step freaks you out, then definitely grab a rule and measure how far down you need to fold these. 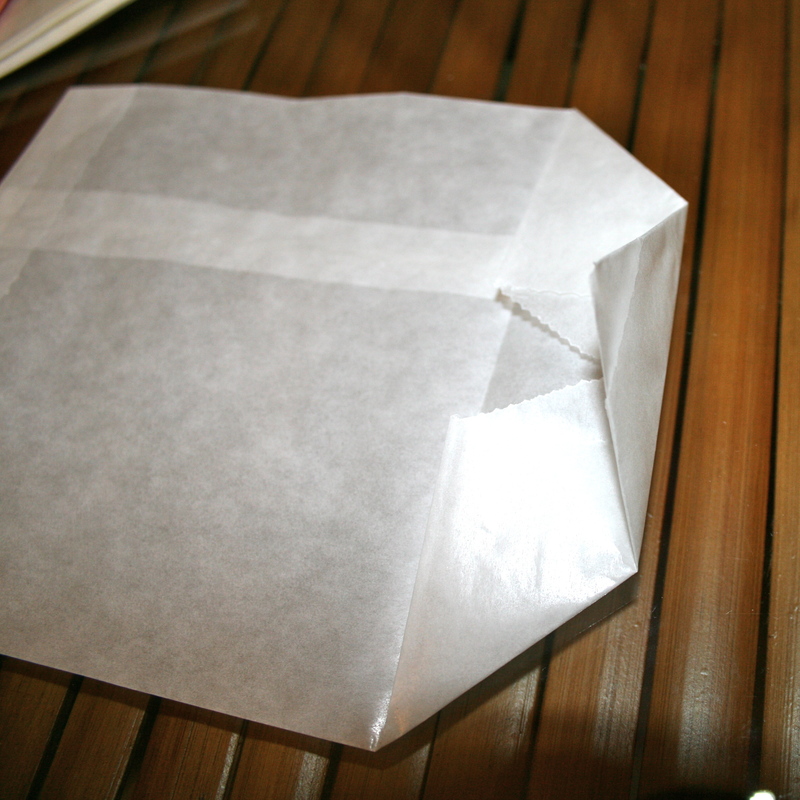 You basically want to turn your envelopes into 5 1/2 inch squares so you’ll be folding down 2 1/4 inches from the top. 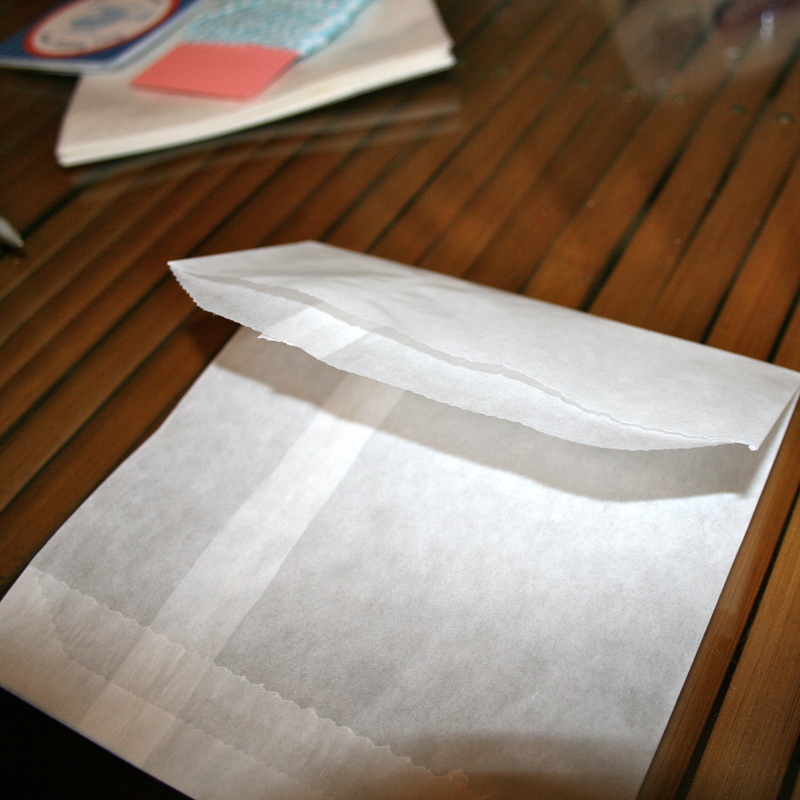 Once you’ve folded the envelope, you will insert the marshmallows. 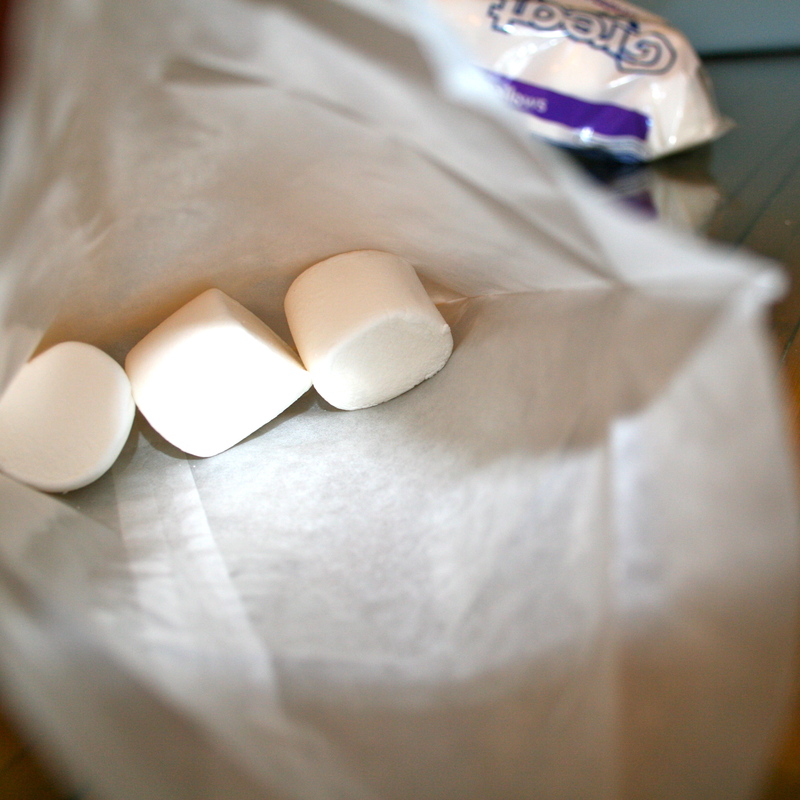 I did three rows of three marshmallows so each bag contained a total of nine marshmallows. 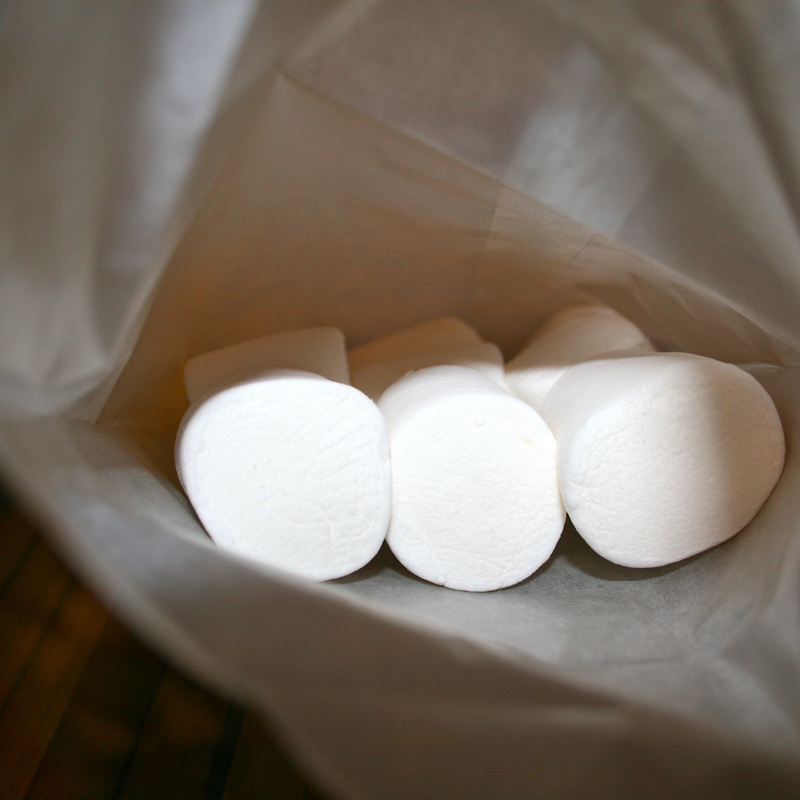 Of course, the number you get inside the bag will totally depend on the size of your marshmallows. 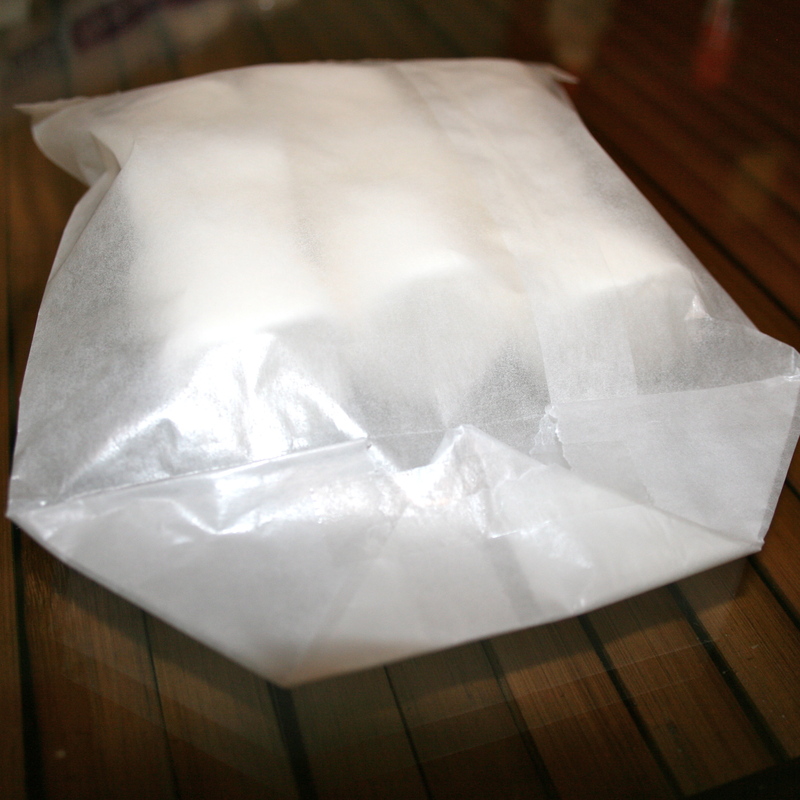 One all bag is full, you will refold the bag and add a little tape to keep it sealed. 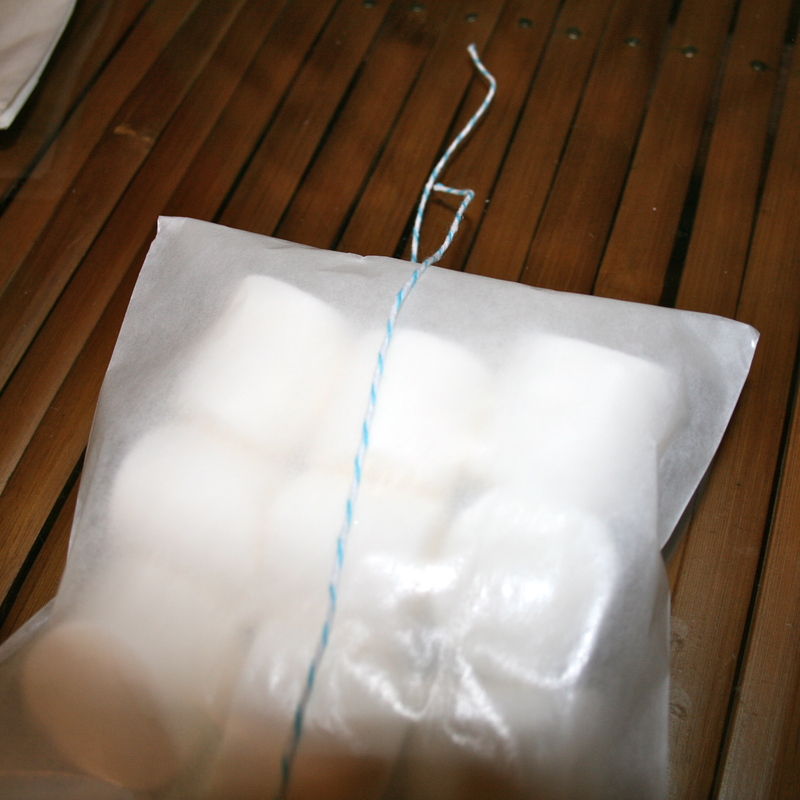 I then took some baker’s twine and tied it around the bag. You don’t really need the baker’s twine but it looks pretty and adds a polished look. 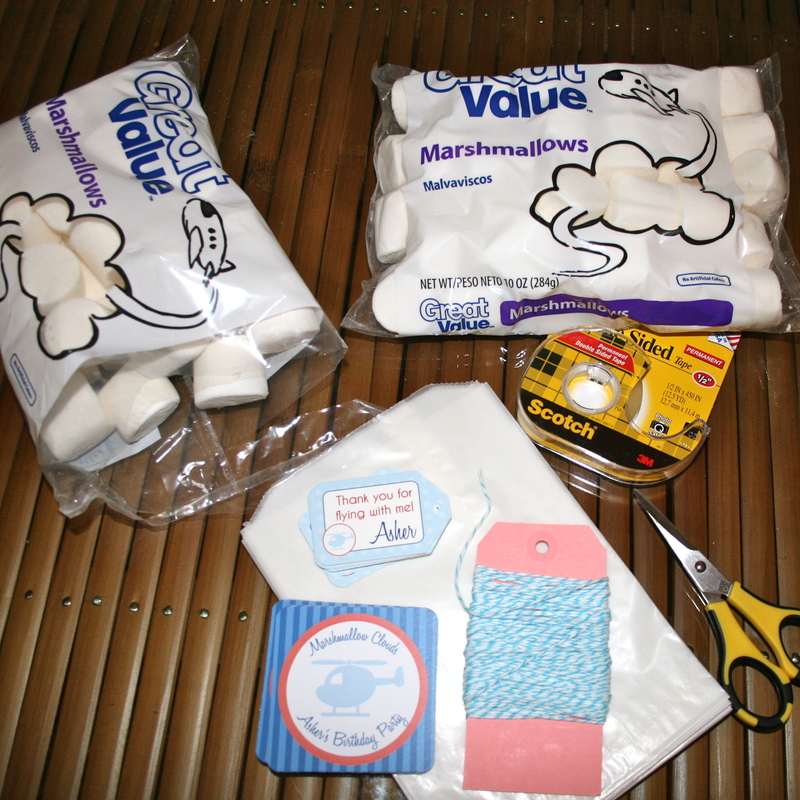 Next, grab your large “marshmallow clouds” label and use your double sided tape to adhere this onto the front of the envelope. I designed these labels to measure 3 inches so that you can cut them into squares or use a 2.75 inch circle punch to cut out circles. I choose to cut them into squares and I used a corner rounder, too. Here are photos from each step but if you get confused or have any questions, please leave a comment and I’ll answer you straight away. Please follow me on Pinterest. I actually have a board dedicated to this fun party theme. You can view that here. Looking for more photos from the Helicopter party? You can see the album on Hostess with the Mostess right here. A special thank you to Danielle from All Things Great and Small Photography for taking photos at the party. 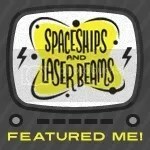 Also, follow me on Twitter, Facebook and subscribe to my blog. I can be reached via e-mail at apartystudio@gmail.com or my Etsy store. Before my daughter was born, I worked in Marketing. More specifically, as an Account Executive, I was involved in sponsorship and advertising sales. I totally loved my job. I got to work with an amazingly talented group of people and met clients who were so lovely that I still keep in touch with some of them via Facebook. One of the things I used to help my clients with was sponsorship of local events. They’d have a table (or booth) and would beautifully present their products and services. I’d always encourage them to have hand outs, freebies, giveaways, fun props, collect data from the attendees and be entered into a competition, etc. Basically the concept was to get potential customers to come to your table (hence it needs to look attractive and attention grabbing), once at the booth you’d want them to be dazzled by your personality, knowledgeability, quality of your product, and professionalism. When they leave your table, you want them to remember you and if they have a bag full of brochures, chances are that the whole bunch will end up in the recycle bin. So, what do you do? Hand out pencils, pens, magnets, etc that have your company logo? Blah. So boring. Sometimes, it pays off big time to think outside the box… how about water bottles with your company’s logo and contact details? Or delicious bars of chocolate? 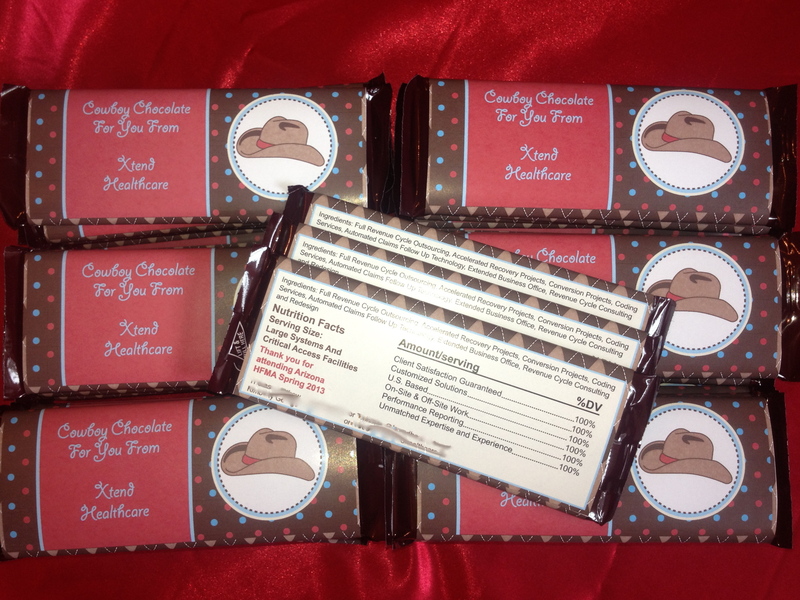 Check out these personalized chocolate bar wrappers that I created for Xtend Healthcare, one of the fastest growing revenue cycle solutions company in the industry right now. They are planning to hand out at an upcoming conference. The conference has a Cowboy and Western theme hence the stetson on the front. These chocolate bar wrappers are a revised version of the one in my Etsy store. You can see that here. The best thing is that the wrapper tells so much about us. Sometimes it is hard to get your details to clients so this works well. I’ve made other items for companies and businesses in the past… personalized Hershey kiss labels for a photographer, hang tags for a company in Mexico, chocolate bar wrappers for a local election, etc. 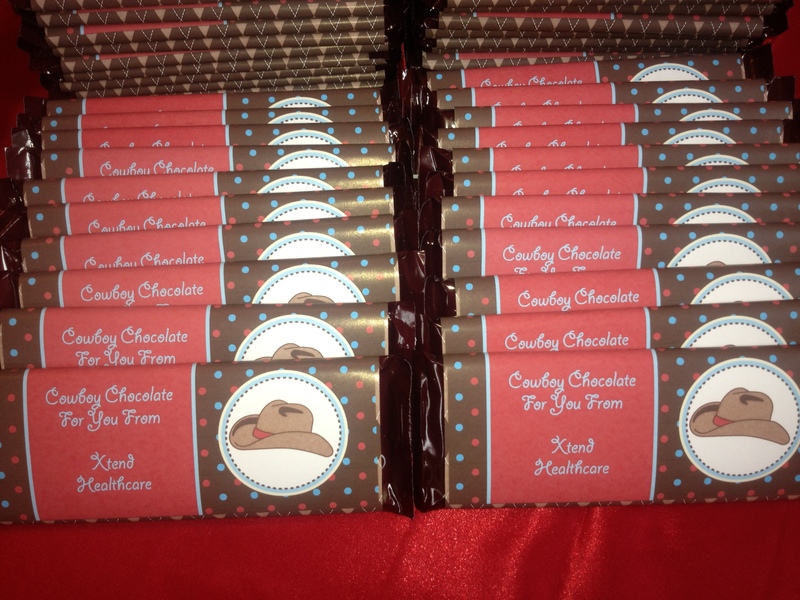 It’s always fun to make these items but I don’t usually get to see the end result so thank you so much Kimberly at Xtend Healthcare for sending me these photos of the chocolate bars. They really do look great, even if I do say so myself! 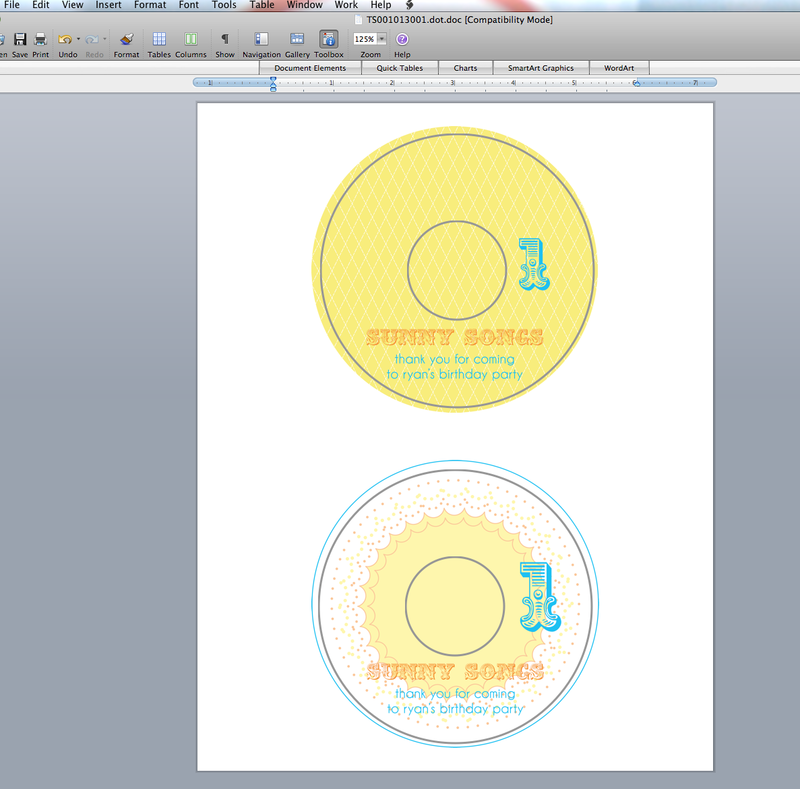 I recently added the option of a CD cover/image for the You are My Sunshine party collection. It seems to be a fairly popular item and I am considering adding this option to other party collections. One of the issues with selling CD covers is that the manufacturers change the templates or you may not be able to find the correct template at your local store. Right now, I have the PDF file aligned for Avery templates #5824 or #8692. Of course, I don’t have the time to do PDF files to align with every template on the market so what do you do if you can’t get hold of either Avery templates #5824 or #8692? 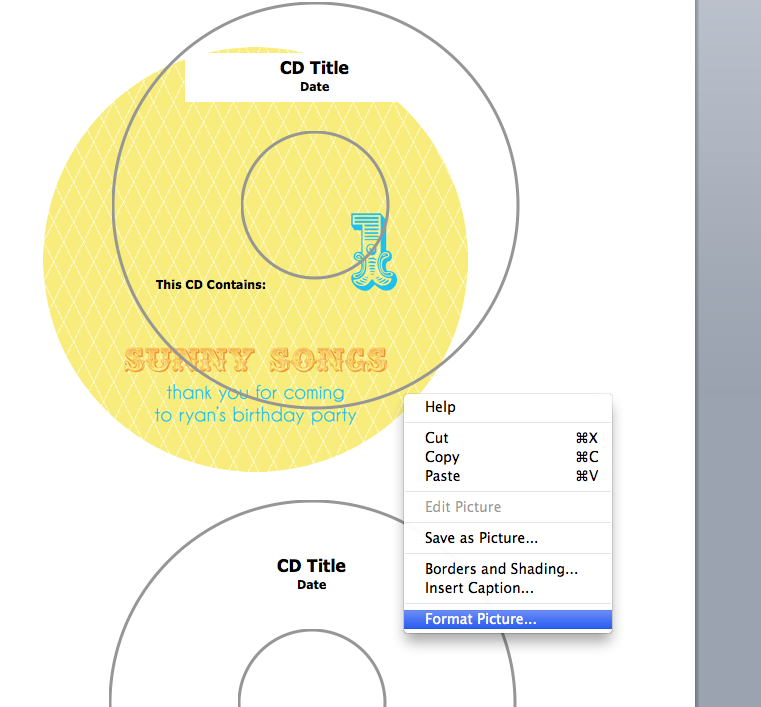 Here’s my solution… request a PNG file for your CD cover. I will send you a high resolution PNG file (300 dpi so perfect for print media) and you can add this to your template. Most templates are Word documents so regardless of where the CD picture needs to be aligned on the page, you can add your PNG file to the correct area. I’m going to include a bunch of screen shots to show you how to do this! 5. Click on Layout and format the picture Behind Text. Click OK.
6. Now you are able to move the picture so that it is aligned correctly. 7. 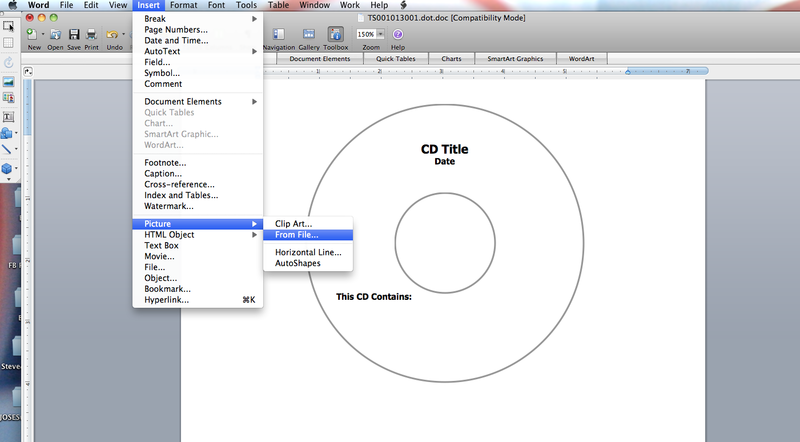 You will need to delete the template text boxes and repeat this process for the CD on the bottom of the page. Simply click on the text box and then hit delete on the keyboard. You could also do this first thing- before inserting your PNG files. 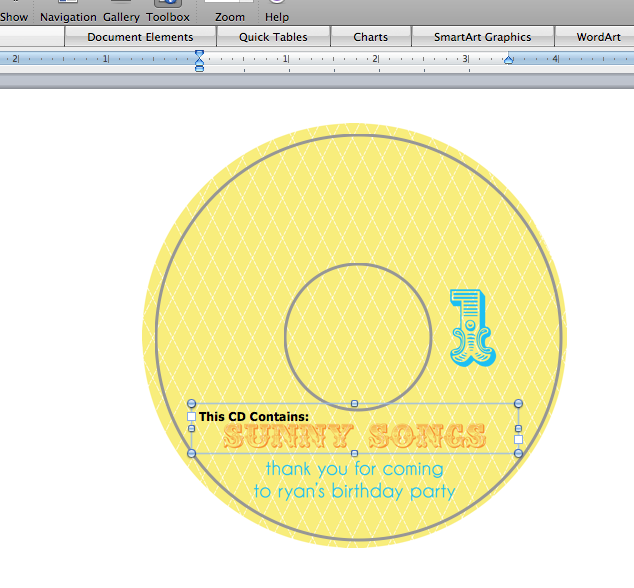 Let me know if you have any questions or problems adding a picture to your CD template. 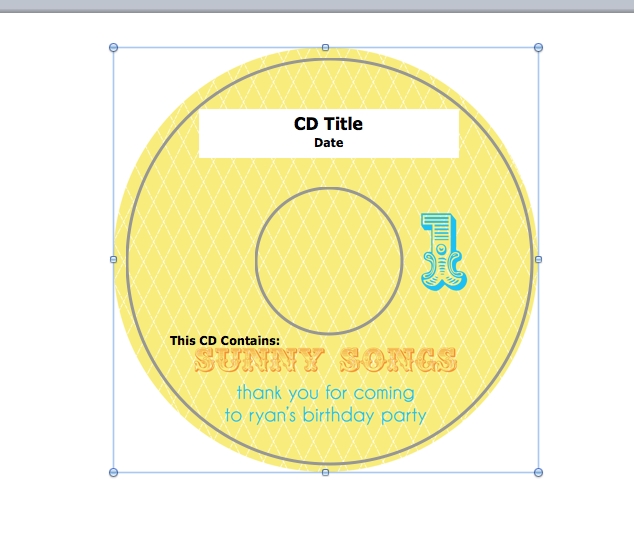 I think a music CD is a lovely party favor or you could use the personalized CD label for a CD that contains party photos and post these to out of town family members who were unable to make the big bash. I hope you find this tutorial helpful. Please, don’t forget to follow me on Twitter and like my Facebook page! 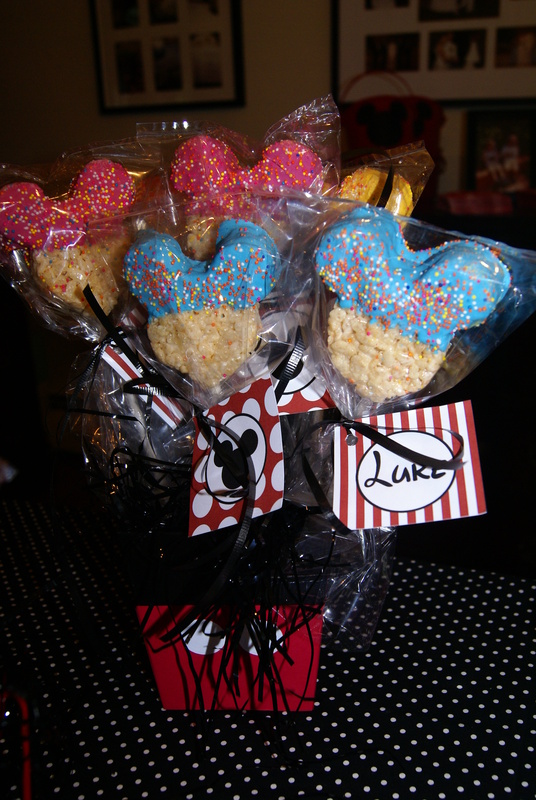 Check out these awesome party favors that Courtney gave out at her son’s Mickey Mouse themed second birthday party. How cute are these? Courtney did an incredible job styling her son’s Mickey Mouse party. Her attention to detail is amazing! I’ll be posting more photos from the party tomorrow. You can have a lot of fun making these treats with your kids. Here are directions, direct from the Kellogg’s website! If you make these, I would love to see photos so please e-mail me and I’ll post the pictures on my blog! 1. In large saucepan melt butter over low heat. Add marshmallows and stir until completely melted. Remove from heat. Add cereal. Stir until well coated. 2. 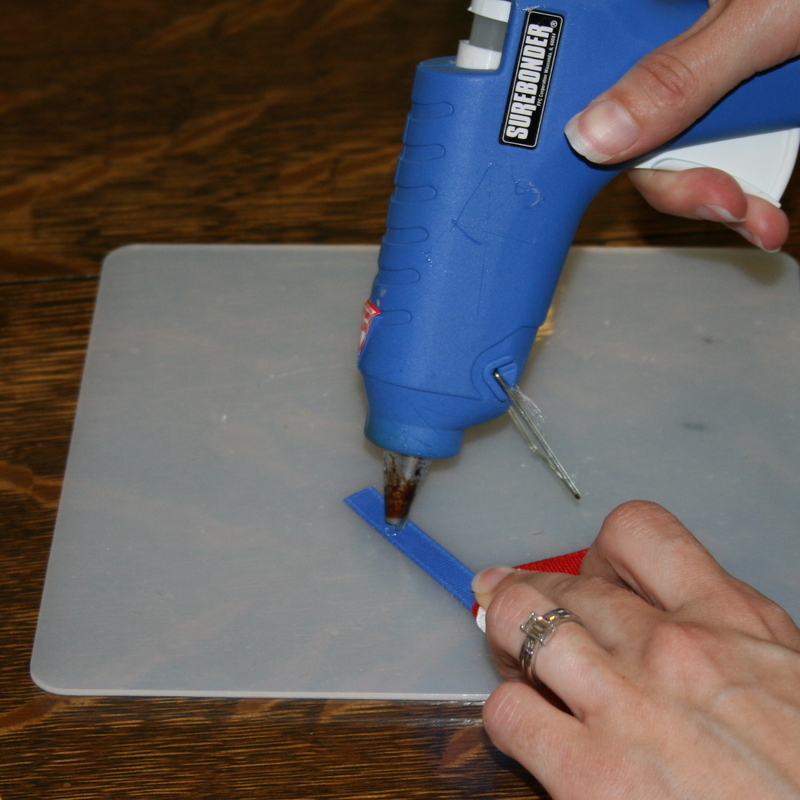 Using buttered spatula or wax paper, evenly press mixture into 13 x 9 x 2-inch pan coated with cooking spray. Allow this to cool. 3. Use a cookie cutter to put the treat into the shape you desire then push one stick into the bottom of each bar/shape. The 5 inch Mickey Mouse icon cookie cutter is available online from Amazon. 4. Melt your chocolate. In small microwave-safe bowl combine chocolate morsels and oil. Microwave on high for 1 to 1 1/2 minutes, stirring every 30 seconds. 5. Dip bars into chocolate. 6. Pour the sprinkles onto a plate. Dip the bar into the sprinkles whilst the chocolate is still wet. 7. 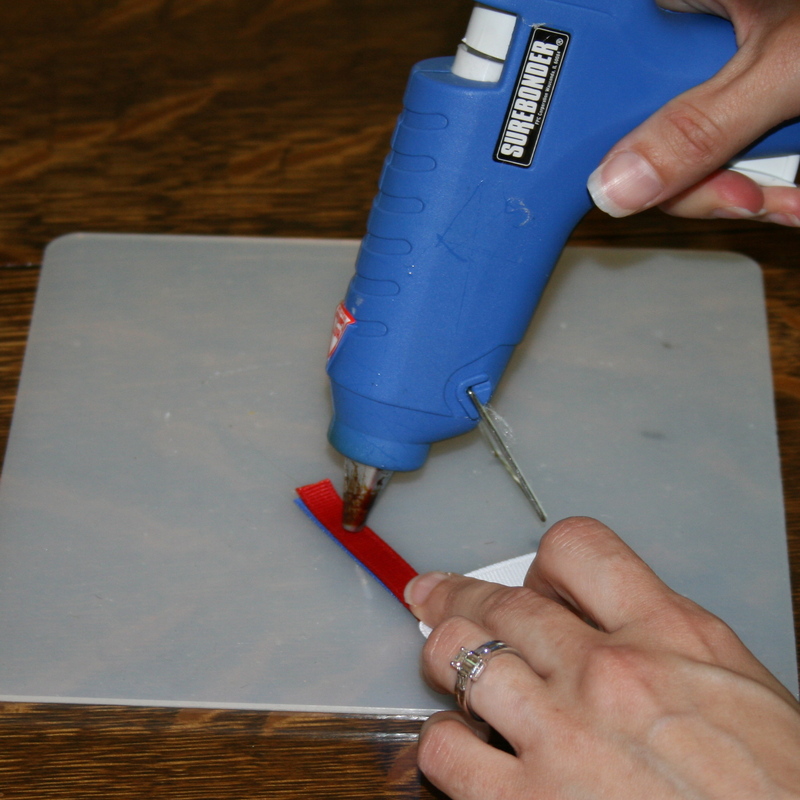 Place on wax paper lined baking sheet. Refrigerate until chocolate is set. 8. Put the treat in a sandwich bag and tie with ribbon. 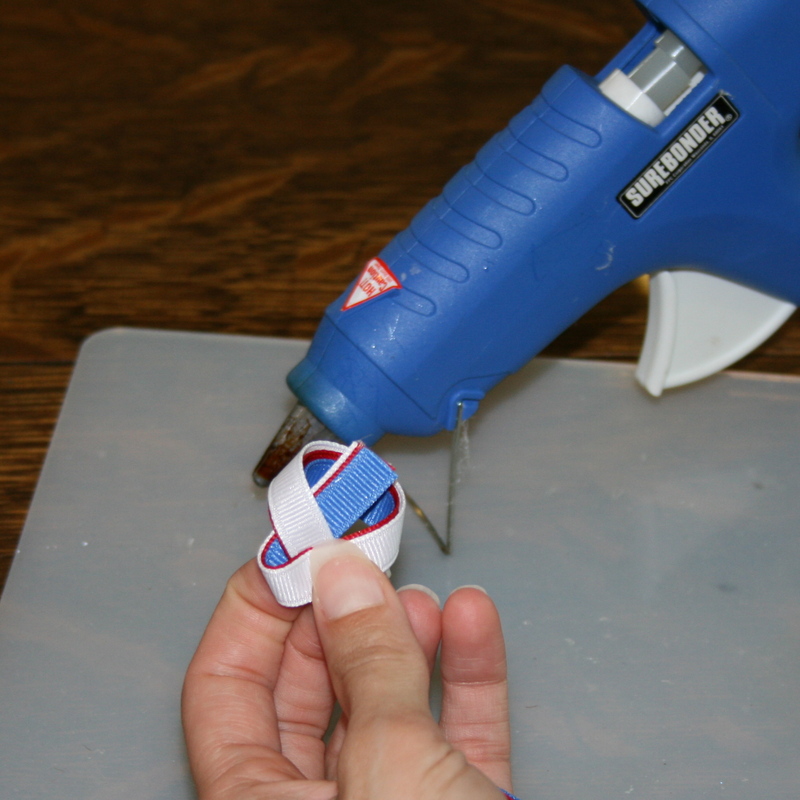 Add a personalized party favor tag to give it a polished look! I have lots of printable party favor labels in my Etsy store but if you don’t see what you are looking for, just e-mail me and I’ll be happy to create it for you. These are best served within a couple days of making the bars so I recommend making them the day before the party. Do not use diet, reduced calorie or tub margarine. Ribbon wands are really fun- my three year old loves moving the wand up and down and watching the ribbons twirl. She is completely fascinated by them and when ever her friends come over, they want to play with her collection of ribbon wands, too. So, here’s a tutorial. These are so easy to make! Of course, if you don’t feel too crafty then you can check out the ribbon wands in my Etsy store. I have some ready-made and ready to ship otherwise, you can order a custom set with any colors you choose! 1. 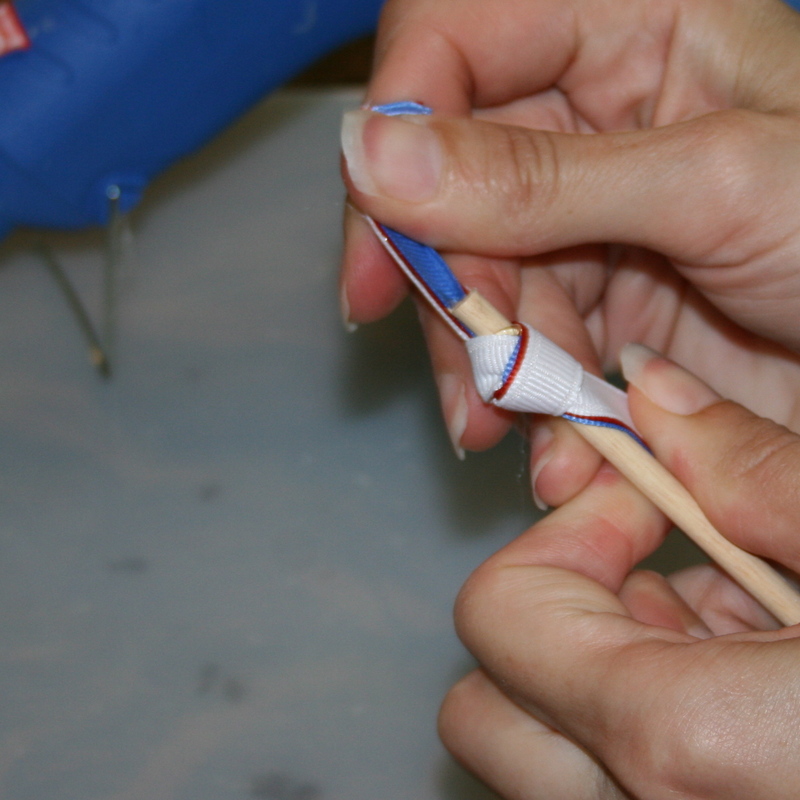 Put a little spot of hot glue on the end of the blue ribbon strand (approximately 1 inch from the tip of the ribbon). 2. 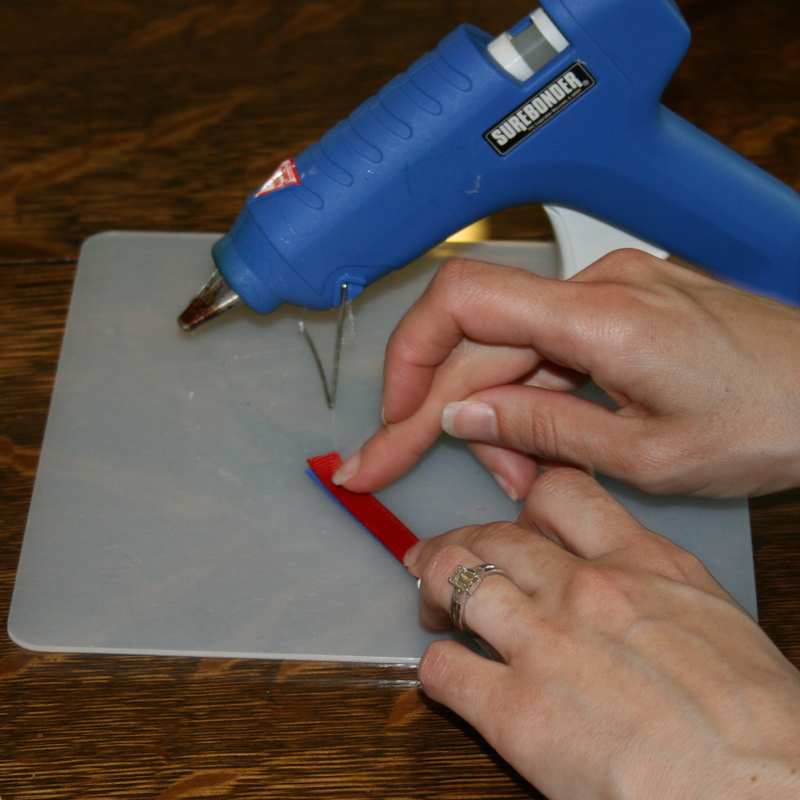 Place the red ribbon directly on top and press down firmly to adhere. 3. Put a little spot of hot glue on the end of the red ribbon strand (approximately 1 inch from the tip of the ribbon) and top with the white ribbon. In this way, the red ribbon is sandwiched between the blue and the white ribbon. 4. Loop the ribbon as though you are going to tie it. 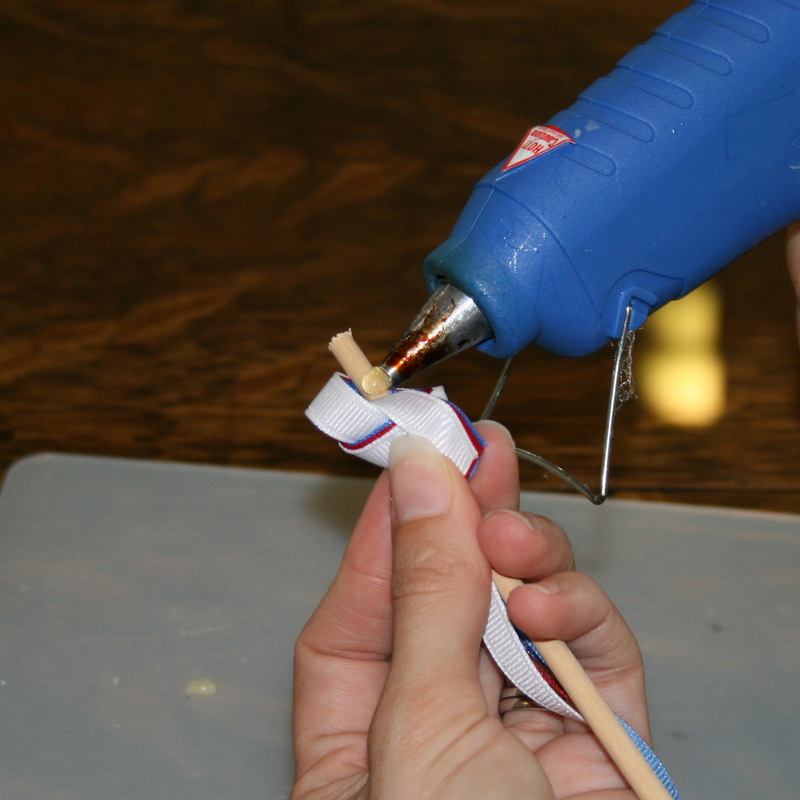 Then, slide your dowel rod in the middle of the loop. 5. 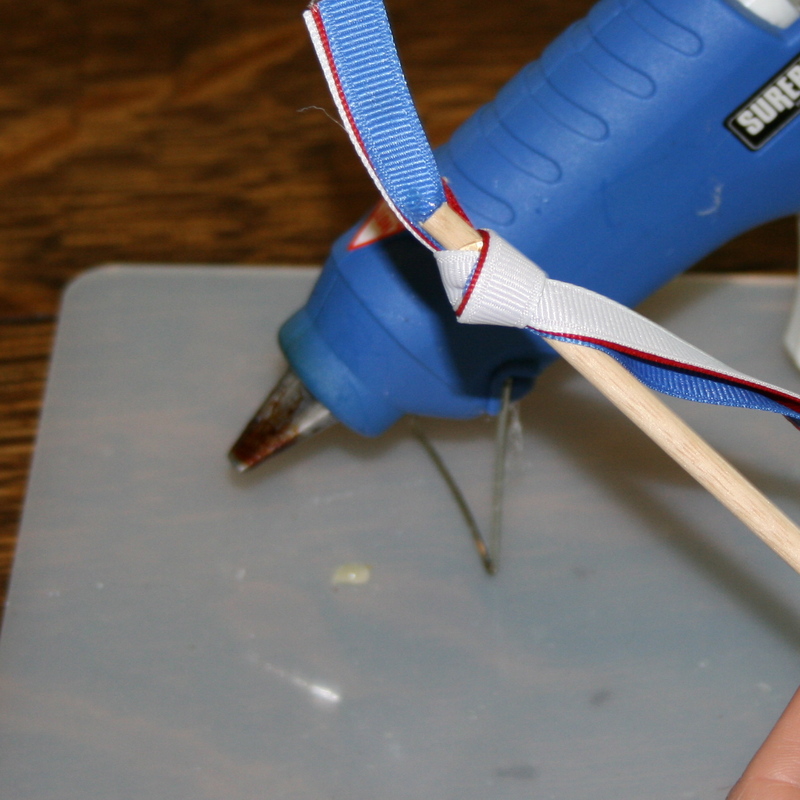 Put a dab of hot glue on the dowel rod, approximately 1 inch from the tip. 6. 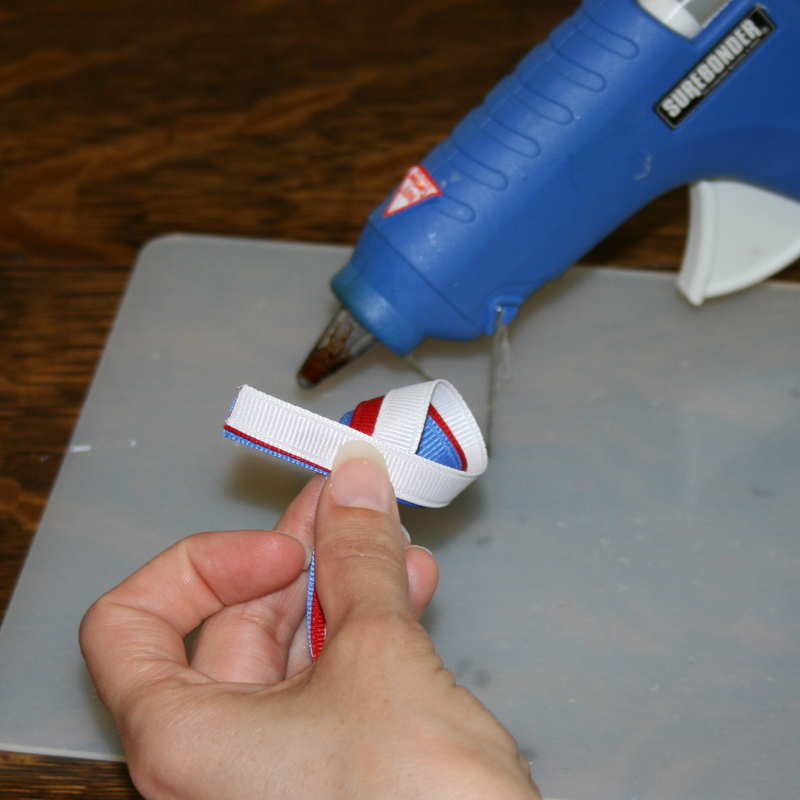 Now tighten your ribbon loop so that it is knotted on the hot glue. Safety note: For children under the age of 4, I use ribbon that is 12 inches long. 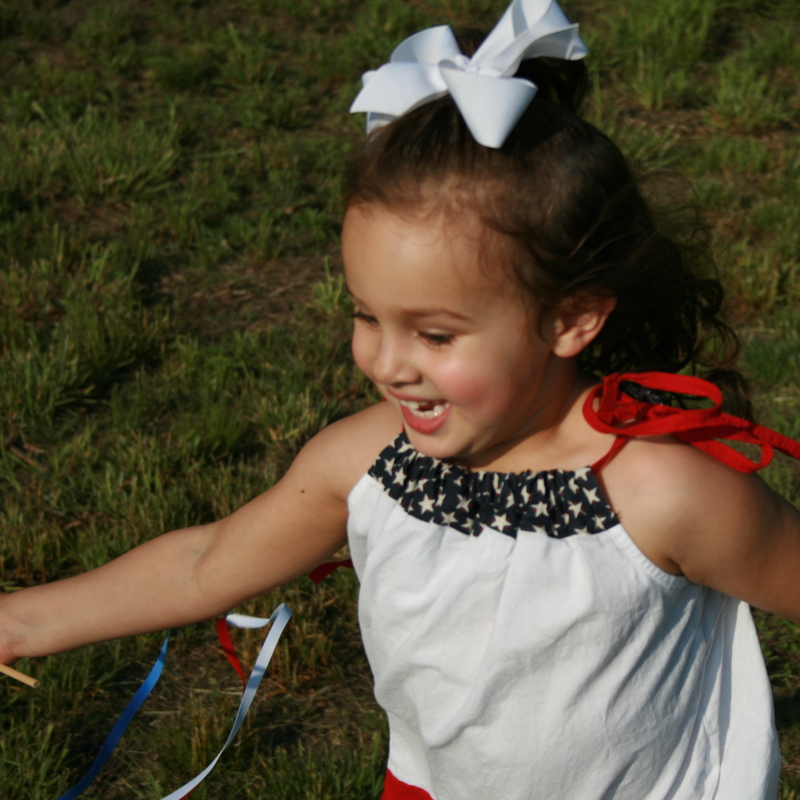 The long strands of ribbon could be a strangling hazard for little kids so make sure they are being supervised! Thank you to Mels Marvelous Designs for supply the beautiful patriotic pillowcase dress for this photo shoot! Check out her Etsy store! I was recently asked to create a fold-over (tent style) label using the race car water bottle wrappers from my store as a template. Have you seen this collection in my Etsy store? It is so much FUN! The race car is based on classic European race cars- complete with window screen, steering wheel and your child’s age as the car number! Burnt orange, olive green, royal blue, dark brown, red, bright yellow and of course, black and white checks! Zoom zoom! On your mark, get set, crayon! How gorgeous are these race car crayons that she put inside the favor bags? Theresa make them using old crayons (hooray for upcycling!!!) and she let her 4 year old son get involved in the project by putting him in charge of peeling the crayon labels. Kids love to color and shaped crayons add a ton of fun! I think shaped crayons make a fantastic party favor. Here are some of the other items available in the race car collection! A couple weeks ago I was contacted by Amy. She asked me to revise the Comic Book Superhero collection that I have posted in my Etsy store to make it appropriate for her twin’s birthday party. Steven and Kaitlyn were going to be celebrating their third birthday party and the theme of their party was Superheroes and Princesses! How fun is that? To keep the flow of bright, saturated colors in the existing collection, I added a touch of hot pink. I also revised the party sign to read: Welcome Superheroes and Princesses! No Villains Allowed! Take a look at the photos Amy sent me from the party! Everything came out looking amazing! Thank you so much for sharing. I love how Amy propped up the welcome sign in the middle of the table, against the rock candy. By the way, if you are planning on doing something similar, check out Oriental Trading. That is where she found the colorful rock candy and the superhero gummy fun packs! She also had pop rocks which looked like kryptonite! In the front, you can see the custom chocolate bar wrappers- hot pink and royal blue! Isn’t it gorgeous? As party favors, Amy made all the kiddos capes with their initial on the back! I bet they came out SUPER cute (pun intended). There are a few of the other items in the Comic Book Superhero collection. If you are planning a Superhero birthday party then check out the full collection in my Etsy store. I offer a package- everything you’ll need to throw a fabulous party- for only $45.